Legendary Brazilian composer, guitarist, singer and drummer, Vinicius Cantuaria, and I will perform our songs as a duo, switching off accompanying each other on guitar and percussion. APRIL 16 – NYC at Mezzrow 163 west 10th st. 7:30pm-10:30pm. APRIL 18 – Warwick, MD at Worsell Manor. 7pm-9pm. This group features my instrumental music, played by CJ Camerieri (trumpet), Jeremy Gustin (drums), Will Graefe (guitar), Michael Boschen (trombone), Benjamin Lazar Davis (bass), and myself (guitar). MAY 9 – NYC at Nublu 151 ave C. 9pm-11pm. Singer/lyricist Maya Hawke and I have been writing songs together for the past year and just finished recording an EP, to be released this summer. 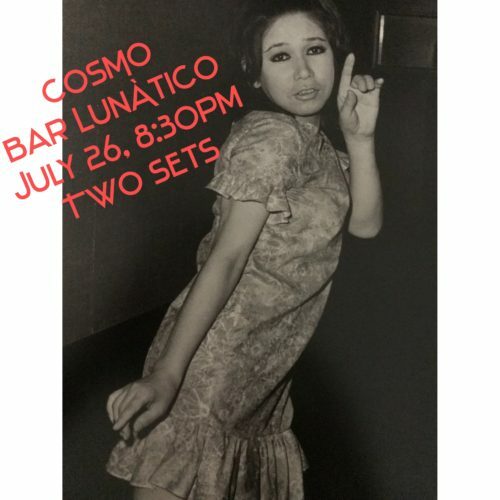 At this show we’ll play those songs, as well as some fun covers, joined by Jeremy Gustin (drums), Benjamin Lazar Davis (bass) and Will Graefe (guitar). 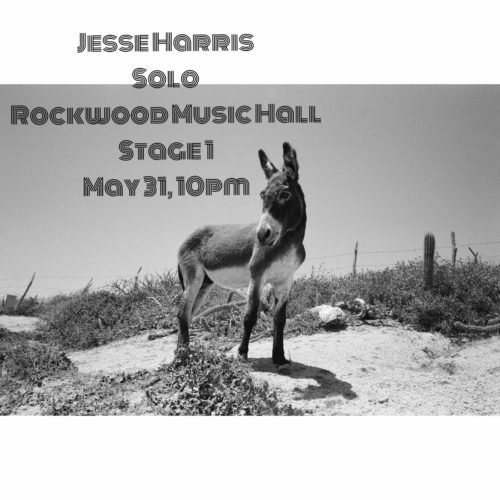 MAY 11 – NYC at Rockwood Music Hall 196 Allen st. 7pm. Parisian singer, guitarist, and songwriter Gabrielle Hartmann and I will share a bill at the Grand Amour Hotel in Paris to celebrate the release of her first single and video, my song “Always Seem To Get Things Wrong,” with new french lyrics. I’ll play a set solo and then also accompany Gabrielle. MAY 17 – Paris, France at Hotel Grand Amour 18 Rue de la Fidélité. The new album Aquarelle is out now! A year ago in Lisbon I recorded the album with Jeremy Gustin on drums, Will Graefe guitar, and Ricardo Dias Gomes bass and keys. 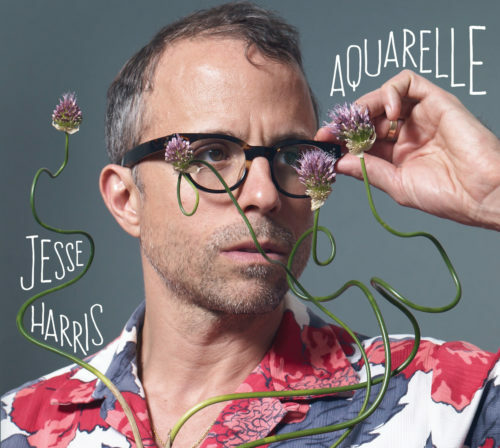 Back in New York and LA many friends added overdubs of vocals, strings, horns, and keyboards: Petra Haden, Sophia Brous, Marcelo Camelo, Valerie June, CJ Camerieri, Rob Moose, Jesse Carmichael, Jason Lader, and Thomas Bartlett. Check out yesterday’s article and video premiere for “Where a Rose Falls” in Blackbook. “Out Of Time,” the first single from my new album, Aquarelle, comes out today and is available by all purveyors of music. 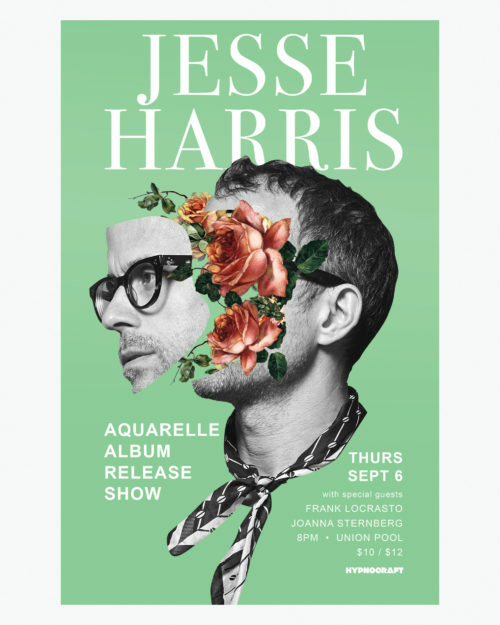 Tickets are now on sale for the release show at Union Pool September 6. I’ll be joined by Jeremy Gustin and Will Graefe, who both played on the album (to read more about it, scroll down) as well as Benjamin Lazar Davis and Frank LoCrasto. Frank will also do a set with his own band, as will Joanna Sternberg, with whom I will also play guitar. It’s going to be a super fun night. Come hang! In the summer of 2017, Jesse’s frequent collaborators Will Graefe (guitar) and Jeremy Gustin (drums) were playing a festival in Vilnius, Lithuania and thought it would be fun to record an album with him in Lisbon, Portugal with their mutual friend Ricardo Dias Gomes. Jesse had never been to Lisbon so he set to work. In the weeks leading up to the recording, he wrote some new material, such as “Out of Time,” a sort of fusion between an ESG-type beat and Tropicalia, which not only he finished two days before the session but was the first song recorded at the studio (the band had never even heard it); “Rolling By,” a lyric of hope and warning over music of Bossa-meets-60s-English-Rock; and “Carousel,” a moody instrumental named for the traditional Portuguese restaurant where the band and recording engineer would eat lunch every day. Back in New York, and later on in LA, Harris invited friends to add overdubs of keyboards, vocals, strings, and horns. Valerie June makes a special guest appearance to duet on “Listen To The Wind.” Petra Haden sings harmonies on “Grapes Grow Sweeter In The Sun” and “Eyes Of Fire.” And Sophia Brous (Exo-Tec, Dream Machine) duets on the Exotica-inspired “Never Say Goodbye” and layers rich vocal arrangement on the jouncy “Sometimes You Have To Choose Sides.” Other guests include Rob Moose (strings) and CJ Camerieri (horns), both of whom play in the group yMusic, and keyboardists Jason Lader, Jesse Carmichael and Thomas Bartlett (aka Doveman). Why the title Aquarelle? An aquarelle is a watercolor, but it also suggests lightness, color, liquid. The lyrics of the songs have a sunniness minus the glibness, the overall effect of which is what one might call a “feel good record.” Even its moments of darkness, such as the gloomy “Sunday” (“You shouldn’t have left on a Sunday/ cause Sunday is the loneliest day of all”) are suffused with a kind of a underlying hope – in this case the tacit suggestion that tomorrow is Monday and something new may come along. 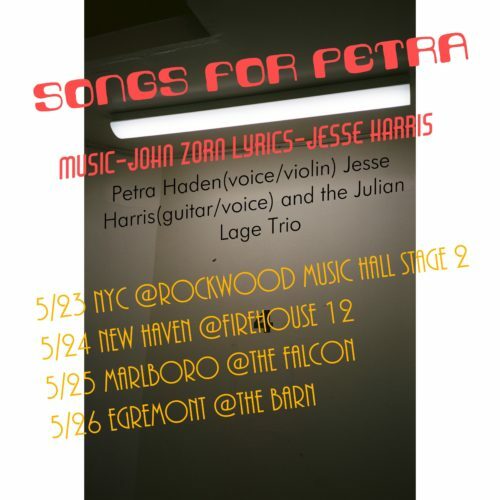 *SONGS FOR PETRA presents the music of renown composer John Zorn and the lyrics of Grammy Award Winner Jesse Harris, performed by Petra Haden (vocals, violin), Jesse Harris (guitar, vocals) and The Julian Lage Trio: Julian Lage (guitar), Jorge Roeder (upright bass), and Eric Doob (drums). 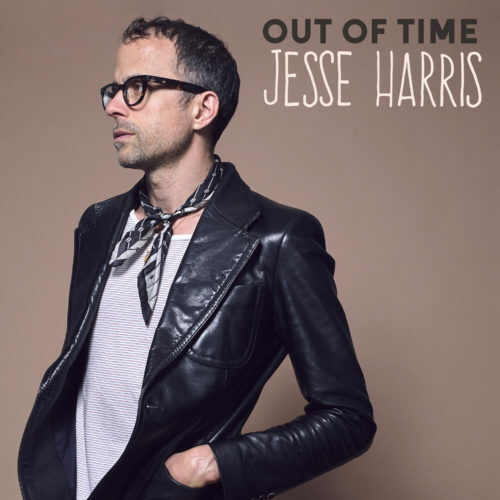 Petra, who sings with everyone from Bill Frisell and Beck to The Haden Triplets, first collaborated with Jesse on the album Seemed Like A Good Idea – Petra Haden Sings Jesse Harris (Sunnyside Records). Julian Lage (2018 Grammy Award nominee) is fast becoming perhaps the best known young jazz guitarist, whose latest album, Modern Lore (Mack Avenue Records) debuted at #1 on the Jazz Billboard chart. Check out the new video “You Don’t Have To Be Alone,” directed, filmed (with the Super 8 camera my dad bought in the 60s) and edited by dAVID sTRANGE. Have you heard the new album yet? !